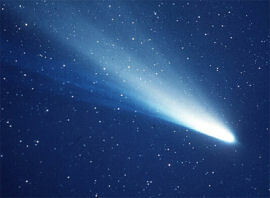 You are here: Home › News › “Hot” Comets The Source Of Life? A new study in the International Journal of Astrobiology contends that it is overwhelmingly likely that life came to Earth inside a radioactive comet with a liquid water core. Not wanting to hedge their bets, the scientists involved calculate the odds of life starting on Earth rather than inside a comet at one-trillion-trillion to one against. Study author, Professor Chandra Wickramasinghe, and colleagues at Cardiff University’s Centre for Astrobiology have long argued the case for panspermia (the theory that life began inside comets and then spread to habitable planets) and new evidence from comet sampling missions may back up their arguments. Wickramasinghe notes that the Deep Impact mission to Comet Tempel 1 discovered a mixture of organic and clay particles inside the comet. 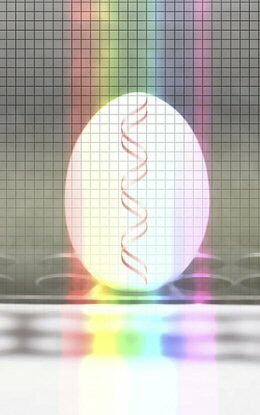 One theory for the origins of life proposes that clay particles acted as a catalyst, converting simple organic molecules into more complex structures. Additionally, the 2004 Stardust Mission to Comet Wild 2 found a range of complex hydrocarbon molecules – the potential building blocks for life. The Cardiff team suggests that radioactive elements might keep water in liquid form in comet interiors for millions of years, making them potentially ideal “incubators” for early life. They also point out that the billions of comets in our solar system and across the galaxy contain far more clay than the early Earth did. “The findings of the comet missions strengthen the argument for panspermia. We now have a mechanism for how it could have happened. All the necessary elements – clay, organic molecules and water – are there. The longer time scale and the greater mass of comets make it overwhelmingly more likely that life began in space than on Earth,” explained Wickramasinghe.